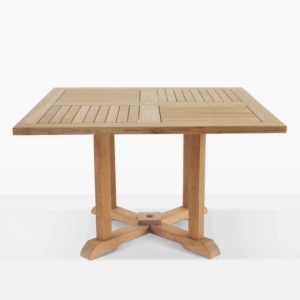 Design Warehouse has many dining tables in countless styles and materials, and all suitable for the great outdoors. 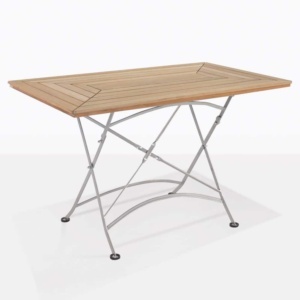 We are proud to carry such a quality and luxury driven collection of outdoor dining tables and to offer them to the public at wholesale prices. 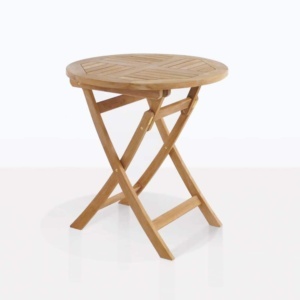 Thinking about dining outdoors in elegance, style and comfort? 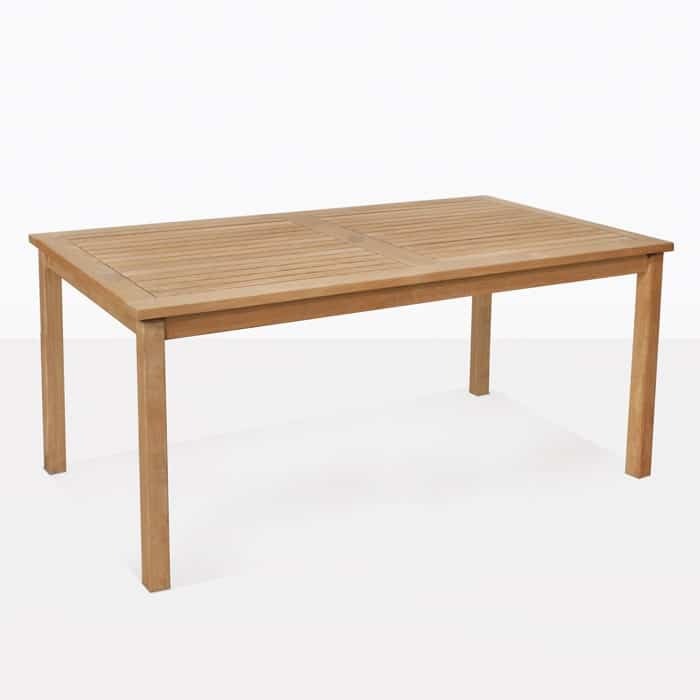 The Dining Tables that seat up to four enable you to do just that! 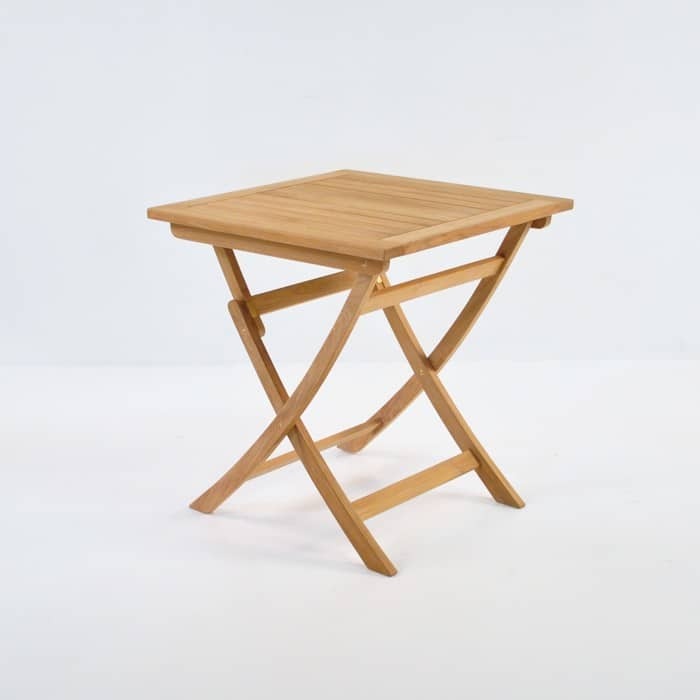 Imagine your small apartment balcony, it’s perfect for outdoor dining, it gets the sun, is sheltered from the wind, but it’s not big enough for a huge table. 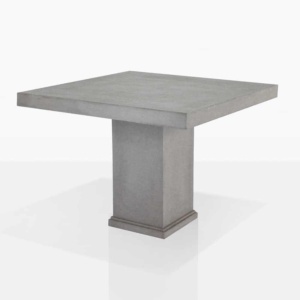 Why not try our Concrete Pedestal Table and 4 Batyline® Chairs for a fashion forward and contemporary impact in your space. 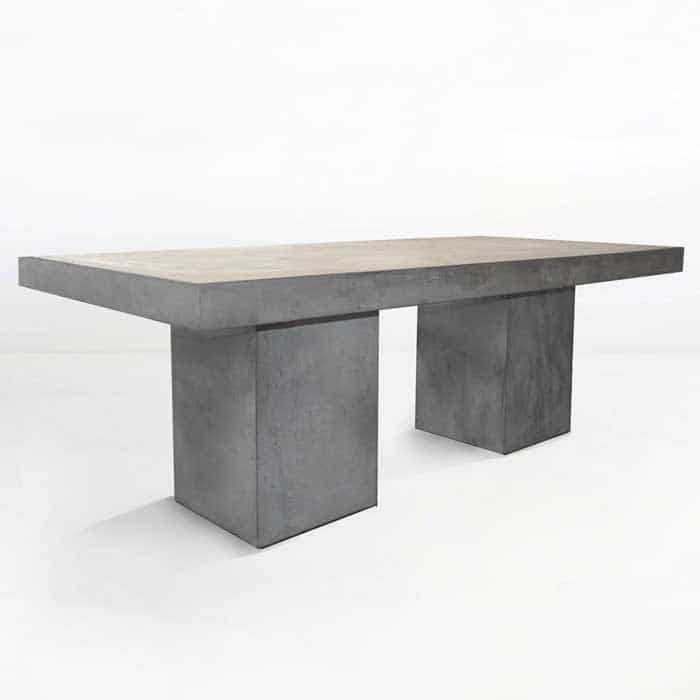 Our Concrete is made from a fibreglass and resin composite enabling the furniture to be lighter, stronger and more durable, while the Batyline® mesh chairs are oh so comfortable, on a UV treated fabric that will not melt, discolour or change shape! 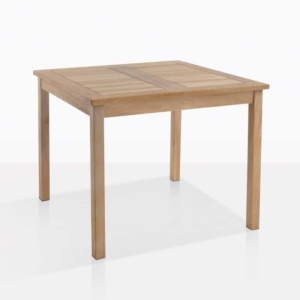 This set is a clean crisp look that will fit right in with your upmarket lifestyle! Is your garden area in desperate need of somewhere to relax in comfortable, classic style? 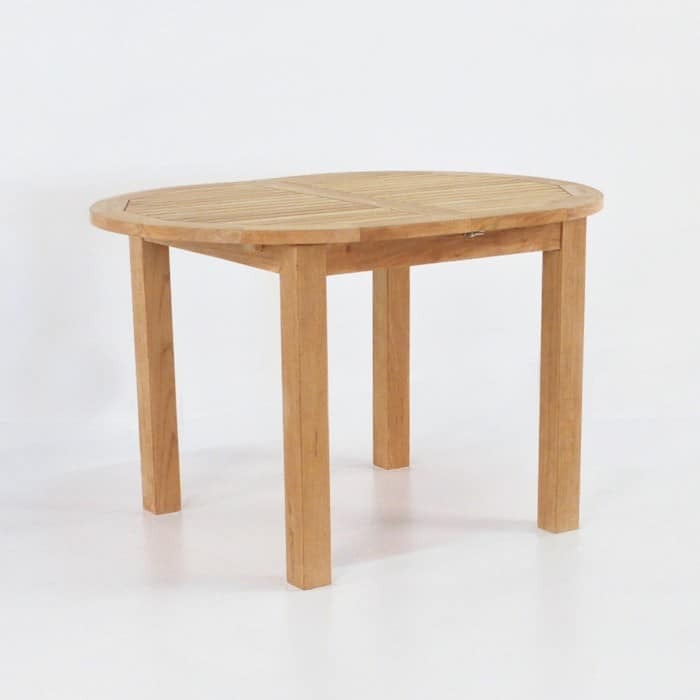 May we suggest the combination of the Nova Round Teak Table and 4 Chairs. 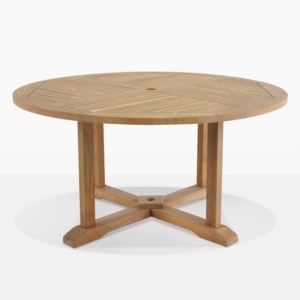 A traditional teak set up, the Nova Round Table with 4 Kensington Side Chairs is a beautiful, simple look that will make an elegant impact in your space. 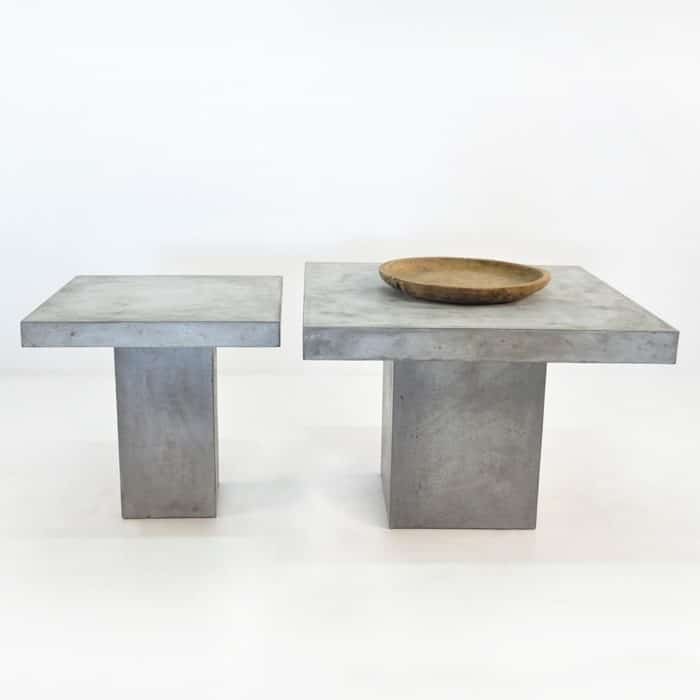 If you are after something charming and unique, the Blok Concrete Dining Set with 4 Chess Stools will transport you into a modern day Alice in Wonderland! 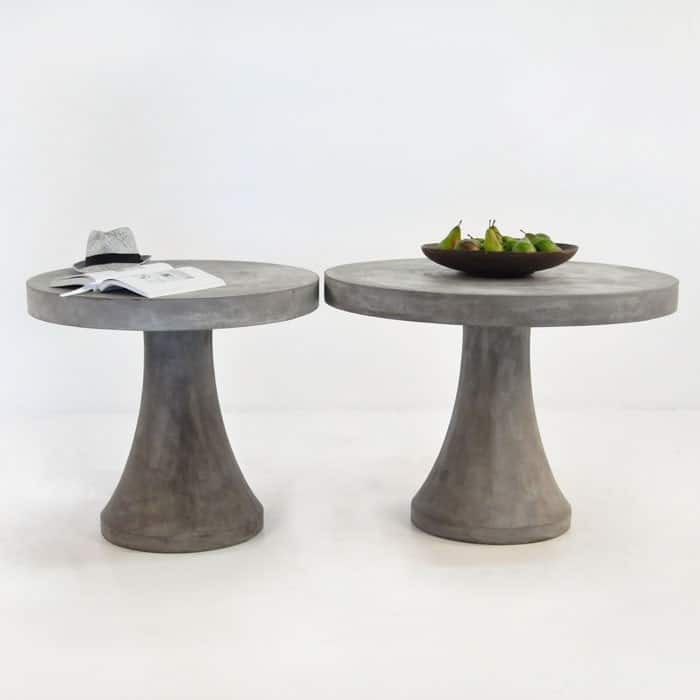 A round table with curved, flared base and 4 ‘chess’ stools, all made from high quality, fashionable concrete, looks incredible in any space it enters! With a myriad of different options, our 4 seater Dining Sets are a testament to our commitment to quality, luxury and comfort. 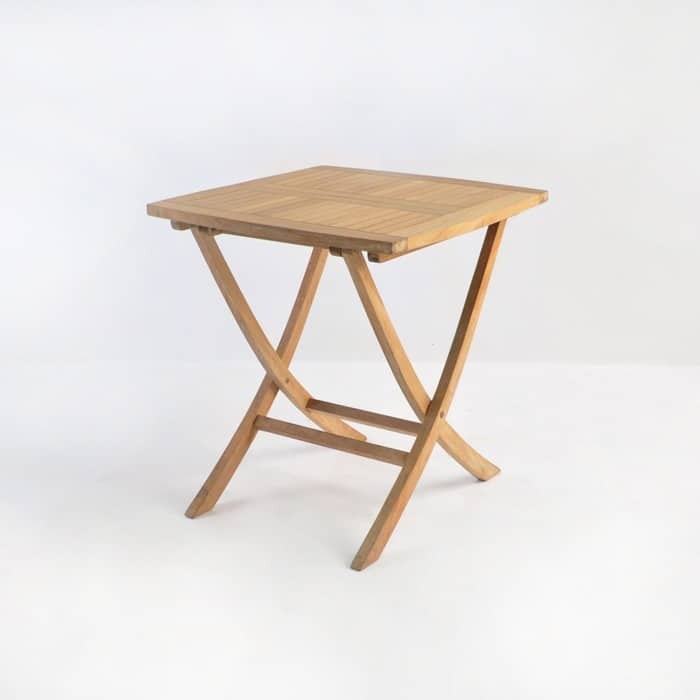 Call us today to discover which pieces will work best in your space.